Idk why this Front office and ownership group seem to absolutely hate thorough coaching searches. When was the last time they interviewed more than 2 people for a job? It is weird! I mean...why not announce/promote him earlier (if it was what they had planned all along) so that they could have spoken to Wade Harman (as Oldshool suggested before he was hired by Denver) about taking over? I started to post this morning that JR is running this show. No new hire is coming in changing things. Well we all thought this was likely the known outcome. Now we hope for the best!! Arthur will probably want TJ Hockenson in the 1st and I am 100% behind it! No, but don’t be surprised if the team doesn’t draft TE Donald Parham later on in the draft. If the best argument in favor of this is how well a group consisting of what, 4 players total yearly, did under him, I think that is not a very good one. And Smith did not make Delanie and we all have been criticizing how Jonnu had been a big disappointment until maybe week 12 this past season. Uhh last year. Vrabel, Wilks, and LaFleur. Wilks was just for Rooney rule. Vrabel was the front runner from the beginning and a lot of people speculated LaFleur was only interviewed to pick his brain for OC. This team is notorious for lackluster coaching searches. I’m fine with Smith if they think he’s the right guy but as a fan I would like to see them give themselves more options before making decisions. This promotion screams that they were denied by a few guys. Glad for Arthur, he's earned it. Dude is super smart, and I expect he'll do a great job. 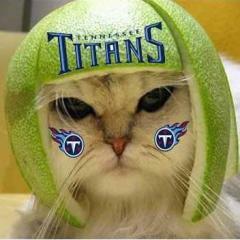 He's also super loyal to AAS, and the Titans organization. Hiring from within made a ton of sense in order to avoid learning new terminology. Saying that, who knows if Smith can call a game in the heat of battle as it's a different job than coaching TE's. He deserves a shot. I'd have felt the same if they would elevated any of the other assistants like O'Hara. so... were we gaming other teams to rush out and hire their OCs thinking we were going to swoop in there first? Weird timing? Vrabel was hired on past January as well. They could have hired Arthur Smith the day after MLF signed with Green Bay.